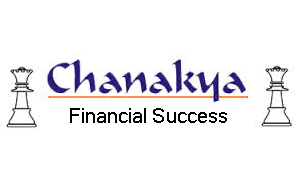 Chanakya Who was He? Born in 4th century B.C in India, Chanakya was also known as vishnugupta and Kautilya. Through the century scholars have describe chanakya as a rare master mind who became an expert in varied and specialized fields like management, economics, politics, military tactics, law, Leadership, management, governance, accounting system and several others. The 600 sutras of Kautilya arthashastra have been classified in 15 books, 150 chapter and 180 topics by chanakya himself. Before starting any work you should carry out planning same is applicable in field of finance. You will not gain financial success without planning. Chanakya Niti says that if your work is well planned it will surely produce good result. In bad market condition if your plan is in place you are likely to gain more profit. Planning will always help you in adverse condition. E.g if you have not made any emergency fund you can suffer badly in emergency situations. You should carry out risk profile assessment before starting any investment. Risk assessment will help you in formulating your investment strategy. You should spend money according to your income and capacity. Overspending will may kill you. Chanakya says that as you will not find jewel without distortion you will not find investment option without limitation. Try to find out limitation and take informed decision before investing. Today we have many investment options in market, but you should select investment option which are stable and having sustainable value. Chanakya Niti says that you should always examine opportunities before starting any work. If you start work without examining opportunities wealth will not come to you. This niti is applicable for investment selection. You should study and invest only in investment options which are as per your financial goal, don’t invest money without goal. You should always look for investment opportunities and make investment per suitability. You should invest extra money rather than parking it in saving bank account. All these important financial elements and sutras which we used today were discovered by chanakya several years back. This article is tribute to the great laureate of economics “Kautilya or Chanakya” for providing a detailed guidance on finance & management centuries ago which hold truth even today. Don’t forget to share this piece of wisdom with your friends. Do share your comments on above.